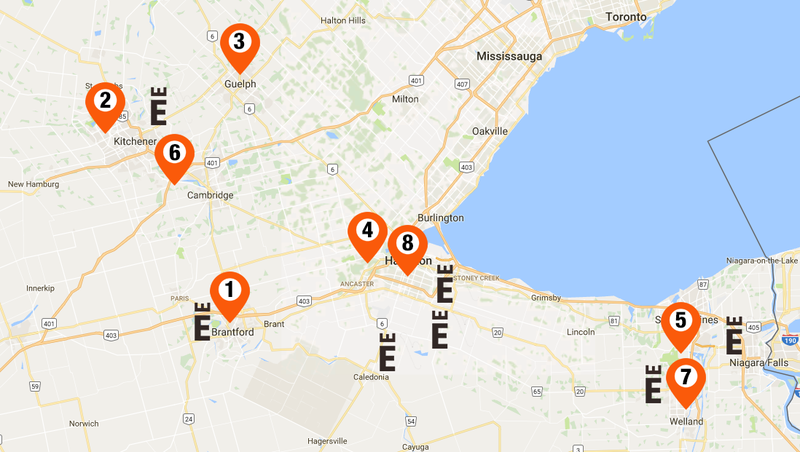 Empire has been building communities in Southwestern Ontario for over twenty years, and we’re very proud of all the region has to offer homeowners from cultural events to active living opportunities. The area also boasts a range of acclaimed post-secondary institutions that make the region ripe for academic excellence. Check out our guide to what makes each of these post-secondary schools great and find out what makes them shine. If you love to get involved. Laurier’s innovative approach to education integrates the academic experience with a variety of experiential learning opportunities with campuses in Waterloo and Brantford. Opened in 1999, the satellite campus in Brantford maintains the same commitment to community involvement and innovative learning as the flagship campus in Waterloo. Read more about Laurier Brantford’s initiatives here. Laurier students enjoy a high-ranking level of success, with over 97% of graduates going on to employment or postgraduate studies. Laurier has over 200 student-led clubs, award-winning faculty, international education and scholarship opportunities and remains one of two universities in Canada to qualify for the Ashoka U designation, distinguishing global leaders in social entrepreneurship and social innovation education. Among Laurier’s many programs which grow yearly, they are perhaps most known for their business school which features a strong accounting department and co-op program. Read more about what makes Laurier great, here. If you have a million-dollar idea. The University of Waterloo has been named Canada’s most innovative university for 23 years running. Unwavering commitment to research, learning, and experiential education makes it a celebrated source of talent and new ventures. If you’ve got a big technology idea to turn into a billion-dollar company, University of Waterloo is the place to be. With more than 17,000 undergrads enrolled, its co-op program is the largest in the world. Students benefit from ties to prestigious research institutes such as the Balsillie School for International Affairs and the Perimeter Institute for Theoretical Physics, and it offers Canada’s only undergraduate degree in nanotechnology engineering. But all work and no play isn’t Waterloo’s style either. The city stages the largest Oktoberfest outside of Germany. Notable alumnus includes Mike Lazaridis, you’ll find him on the Forbes billionaire list after co-founding BlackBerry. If you read science research papers for fun. The University of Guelph is known for its engaged student community, relaxed atmosphere and beautiful campus, and is consistently ranked as one of Canada’s top comprehensive mid-sized universities. The University of Guelph was established when the Ontario Veterinary College and the Ontario Agricultural College were amalgamated in 1964, and it continues to offer some of the country’s top programs in those fields. The biomedical science program allows students to simultaneously study foundations of animal and human health. It’s also know for getting students actively involved in local and international Politics. If you can do your taxes without a calculator. Ranked in the top 100 in the world, McMaster is research focused, student-centered and dedicated to pursuing excellence in teaching, research and scholarship. McMaster is best known for its medical school, but their innovative inquiry-based Arts and Sciences programs are also notable. In their Integrated Sciences program, a maximum of 60 students study science and mathematics in a project-based environment. If you are itching to show off your work ethic. Brock is a comprehensive research university with more than 70 undergrad and 40 graduate and doctoral programs, including its school of business, faculty of education and school of fine and performing arts. Brock also has the fifth biggest co-op program in the country including placements in history, liberal arts and dramatic arts, insuring its graduates’ future employment in their chosen field. If you have the Canadian government in your sights. As the only provider of polytechnic education in the region, Conestoga holds a unique position in the education of Canadian graduates and plays a crucial role in local employment and the economic growth of Ontario, with a large percentage of their graduates living and working locally. Consistently ranked Ontario’s #1 college and one of the fastest growing colleges in Ontario, Conestoga offers more than 200 career-focused programs, including accredited engineering degrees. Read more about what makes Conestoga great, here. If you have a very specific passion. With several campuses in the region, Niagara College is a leader in applied education and training, and consistently ranked among Ontario’s top colleges for student satisfaction. Niagara College is home to unique hands-on learning opportunities, such as Winery & Vineyard, Brewery, Greenhouse and Dental Clinic degrees. Niagara College also maintains a commitment to future employment, with over 1,500 students engaging in co-op and field placements and 1,200 students participating in applied research projects. Read more about what makes Conestoga great, here. If you want to make your own schedule. Renowned for its innovation and for skilled graduates, Mohawk College is student focused and committed to community engagement, including working with local employers to ensuring graduate success. Mohawk also welcomes students of every variety, offering credential opportunities and a custom approach to learning, including blending learning opportunities online and on campus, co-op placements, clinical placements and labs. For continuing education, flexible opportunities or a return to learning, Mohawk is where you want to be. Prices, sizes and specifications subject to change without notice. E.&O.E. All illustrations are artist's concept. Please see Sales Representative for further details.